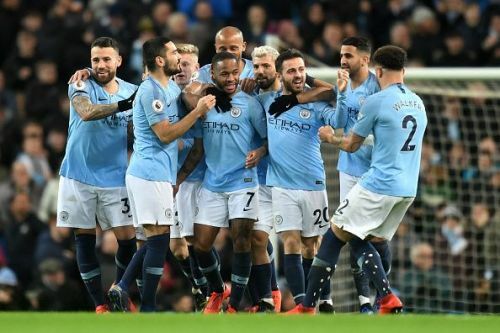 Raheem Sterling's 12-minute hat-trick saw Premier League leaders Manchester City extend their gap atop the table to four points, after a 3-1 win over a determined Watford side. All four goals came during an action-packed second-half at the Ethiad. The breakthrough came through Sterling's dubious first, which was eventually ruled a goal following intense discussions between match officials - whether the Englishman was offside when Sergio Aguero's ball was played into him. Spanish winger Gerard Deulofeu reduced the arrears straight after being introduced in the 66th minute. However, this proved only a consolation for Javi Gracia's men, who were organised and defended well in the first-half but overwhelmed after the interval. Otamendi - sent off in their Champions League first-leg tie against Schalke - has struggled for consistency in recent weeks and the Argentine didn't exactly cover himself in glory on this occasion. Despite a decent all-round display, he was crucially poor defensively when it mattered most. In the build-up to Deulofeu's goal, fellow substitute Troy Deeney out-jumped Vincent Kompany to head goalwards - and rather than to clear his lines, he assumed there was no danger behind him and gestured for Ederson to rush out, smothering the ball. His conscious decision invited the attacker to latch onto the loose ball behind him and gratefully slot beyond the Brazilian. Although it proved only a consolation on the evening, it's another mistake made by an error-prone defender who enjoyed an excellent 2017/18 campaign - but these sloppy errors have crept back into his game once more. 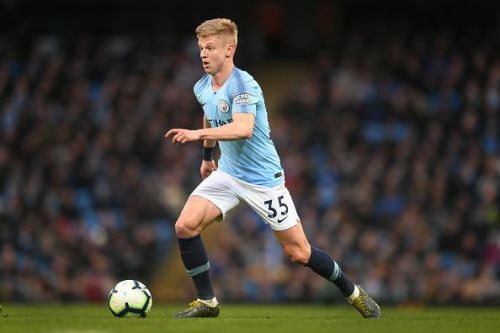 As for Zinchenko, it's another 90 minutes in the bank for a talented youngster hungry for regular appearances. At 22, the Ukrainian has had to remain patient among a star-studded squad with competition for places fierce. It's the same reason that after his display against Southampton on December 30, he didn't feature in the top-flight again until February 10 - part of their 6-0 win against Chelsea. This was his fourth consecutive start and although unspectacular, he was solid as usual: two aerial duels won, 87.3% pass accuracy, one tackle, and two interceptions completed. He's already made more appearances across all competitions this term (19) than he did last year (14) and continues to impress, slotting seamlessly in an unfamiliar left-back role while Benjamin Mendy (knee) remains sidelined.